Known internationally as the Copper Canyon Ultramarathon through author Chris McDougall's book "Born to Run". In memory of Micah True "Caballo Blanco," the race was returned to the name by which it was always known in the Canyons, "Ultramaraton Caballo Blanco." and financing the work on the Caballo Blanco Trail project. With great consideration, Norawas de Raramuri (the non profit founded by "Caballo Blanco" Micah True and fellow Mas Locos) has decided not to host the Ultra Caballo Blanco in 2016. We greatly look forward to returning to Urique in 2017. We are actively investigating conducting an alternative event for next year that would allow everyone to come together in support of our Raramuri friends and the culture of Running. We anticipate announcing more details very soon. 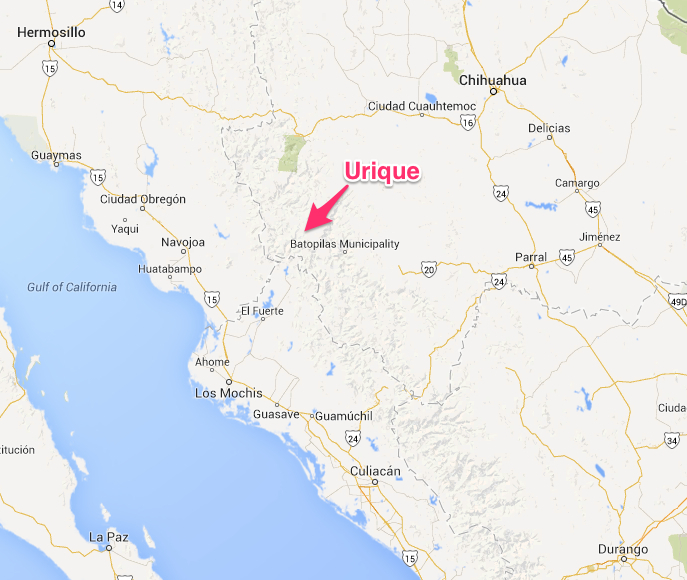 We also expect that the local government in Urique, Chihuahua may still choose to conduct an event this year in The Canyon without having Norawas to host. Should this occur, we would have no involvement but of course would help support the Raramuri as much as possible. — Micah True "El Caballo Blanco"
Started by Micah True (The legendary Caballo Blanco), the Ultra Caballo Blanco vision is continued by Norawas de Raramuri. In honoring all former traditions of this 50-mile foot race, Raramuri (Tarahumara) Runners completing each loop, receive vouchers which provides maize, beans, rice, flour and non-GMO seed corn for their families. This reward ensures nutritional sustenance to both the physical and cultural survival of the Raramuri people. Blankets and food are also given to all Raramuri runners and their families who come down for the race. The celebration also includes the "Corrida de Los Caballitos", a run for the children of the Canyons, awarding to all participants finisher medals, shirts and a bag of school supplies! 1953 ---2012 "Corre Libre Caballo Blanco!" Course will have pinole, fruit and water. If you have special nutrition or hydration needs, please bring your own. Bring water bottles or hydration pack, we are a Cupless event. Sunscreen is recommended, the sun is bright in the Canyons! Bring a bandanna, Buff or something to protect you from dust on certain sections of trail. In an effort to get more runners to come down to run with us, and also allow for a quality experience for spectators, we have eliminated the previous, pre-2005 EXTREME element of this run, which was a hard, very gnarly, potentially dangerous point-to-point, 30 mile canyon-to-canyon run from Batopilas Canyon to Urique Canyon. The run will now be on a combination dirt road and single track trail beginning and ending in the plaza of the old canyon town of Urique, running on rolling dirt road up and down the Urique river with diversions on single track trail up and down beautiful, lush arroyos [side canyons]. The race will consist of a 21+ mile loop up-river, followed by another 18+ mile loop down-river, then continue up-river again on rough dirt road on another 10+ mile total out and back to the Tarahumara village of Guadalupe Coronado, before ending in the plaza of the town of Urique. With this format, runners and spectators will have the opportunity to see the progress of the race as it unfolds, and the run will be much safer and easier to manage aid stations, with better access to emergency vehicles, etc. The two separate extended trail sections will be beautiful, rolling single track, each climbing considerably [2,500+ feet and 1500 feet,] then descending the same, back to what would be considered unimproved dirt-road, beginning and ending in the town plaza of the deep canyon town of Urique, where we will meet in the evening for the awards presentation. The estimated total climb is 9,300 feet with equal descent. The turn-around points will be the Tarahumara village of Guadalupe Coronado, up-river; then back a few miles across the river to a bridge, cross the river and diverting a few miles up the lush arroyo Mescalera on another dirt road leading to lovely single-track trail and up to another smaller suspension bridge, then climbing another 1800 feet in a couple of miles to the beautiful mountain mesa Naranjo--a lush settlement with awesome views-- before looping back to the town plaza of Urique; then following the dirt road down-river for about 6 miles to a sturdy steel suspension bridge that crosses the river, running single-track to an arroyo, then cross-country up a rocky arroyo with minimal trail until spotting the beautiful dirt trail leading up another 3 miles or so to the lovely rancho "Los Alisos", where sweet, vine-ripened grapefruit abounds! Runners will check in at Los Alisos, which will have radio contact to Urique, take aid and return on the trail to the river where they will cross and run back up-river to Urique at the 40 mile mark, take more aid, and continue 5+ miles to the mission on the far end of the village of Guadalupe Coronado again, returning on what could at this point be some pretty good "death" hills, to the cheering finish of the race in the plaza of Urique. Cerveza, Comida y Fiesta!!! The day before the Ultra Caballo Blanco 50 miler, the children of the Canyons run the streets of Urique to celebrate life! The Annual Corrida de Los Caballitos (Run of the Little Horses), was started in memory of Micah True and to encourage the young ones to follow in the running footsteps of their elders. All children who participate will receive a shirt and medal donated by Marathon Kids, and a bag of school supplies donated by our supporters and Mas Locos. Everyone is encourage to run with the children and participate in this beautiful event! We can use your help collecting School Supplies! Please Contact Us to let us know how you can help. 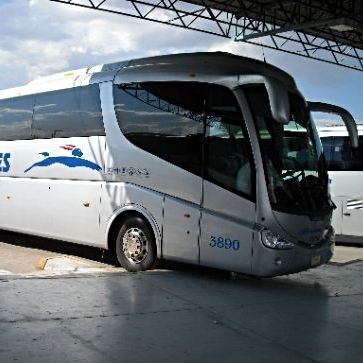 Limousines de Mexico 720 South Oregon Street, El Paso, TX 79901, 915) 542-4547 has departures direct to Cuauhtemoc (with a short stop in Chihuahua) at 9:45 AM and 8:45 PM, They also have one to Chihuahua at 10:45 AM but they do not use the main bus terminal (central camionera) and one needs a shuttle there to continue to Cuauhtemoc. The line has terminals and connections with in many U.S. Cities such as Denver, Los Angeles, and points in between. Americanos, 1007 S Santa Fe St, El Paso, TX 79901, (915) 532-1748 has departures at 9:30 and 11:00 AM and 1:30 and 10:00 PM to the central camionera in Chihuahua. From there catch Rapidos Cuauhtemoc to Cuauhtemoc, an easy transfer but you may need pesos to pay. Those who want to camp out are invited to contact our good friend Keith Ramsay at Entre Amigos, a beautiful property just out of Urique that offers plenty of camping space, an organic garden and some of the most interesting unofficial pre- and post-race happenings! Bring your own sleeping gear, blanket, tent, sleeping bag etc. Runners and travelers to the Barrancas will discover not only a beautiful natural environment, but a rich, traditional cuisine and some local specialties not to be missed! Below, you will find some general information and advice on local food and drinks so you know what to expect on your adventure. But don't just stick to this; there is plenty more to explore and discover! Drinks such as fruit juices and soft drinks are easily found around Urique. Some shops and restaurants will sell local beer, too. Caballo's favorite, Indio, is sold at Mama Tita's restaurant. A convenience store further down the main street offers canned Tecate, which some Mas Locos refer to as "fizzy yellow drink". Around the time of the race, one of the town's shops offers bottled "Electrolit" brand drinks in different flavors. If this is something you would like to purchase, we suggest you do so as soon as you get in town before the supplies run out. Restaurants such as Mama Tita's are aware of vegetarianism and can accommodate guests who don't eat meat. It is to be noted that if you follow a very strict diet, vegan or other, you might consider cooking your own food. Furthermore, one shouldn't expect to find exotic or specialized food items in local shops. However, be assured that your hosts will do all they can to accommodate you as much as possible. Ultra Caballo Blanco could not exist without the Korima of its many friends. Korima is the Raramuri word for sharing, or giving without expecting anything in return. Here are links to some of the many friends and supporters of the Ultra Caballo Blanco.